Hi everyone, first time poster here! Thanks for the replies in advance!! I wasn't aware that Stewart Warner had any single digit model numbers during the 1920s. All the Stewart Warner model numbers, that I'm aware of, were all triple digit starting with the model 300 in 1925 and going up to the model 900 in 1929. Are you refering to a horn speaker ? 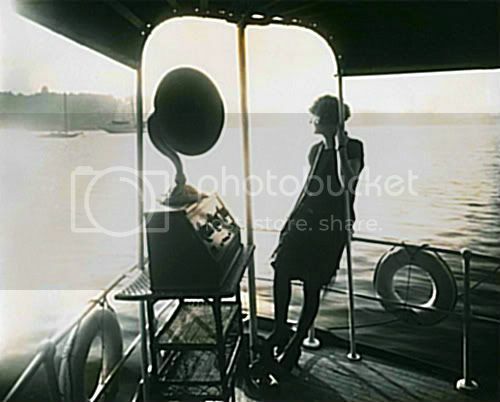 It is a 1920s-style tube radio with a horn speaker. Apparently this "Stewart-Warner Model 5" never even existed - but I'm looking at it! Haven't found a single reference to it anywhere on the web. I could be that the chassis was referred to as the model 5 and whatever style of cabinet it was housed in, and I'm sure there were a few different models, it was referred to with a three digit model number such as the 305. It's the three digit model number that collectors identify 1920s Stewart Warner radios with. 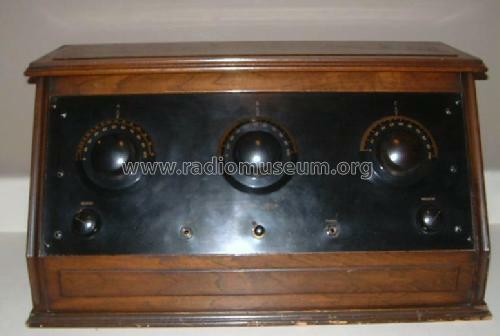 Even Radiomuseum doesn't list a model 5. Here's a 305 listed at ARF. And the same one that's at radiomusium but identified at ARF as 305. Radiomuseum listing of Stewart Warner models. mehta - A friend of mine has a Model 5, also. I have not seen the radio in person, but the photos he sent me look exactly like yours, including the identical Operating Instructions and Tuning Chart that are clearly labeled "Model 5". Here's clearly a model "5" that Alan Douglas has listed as a model 305 in his book Radio Manufacturers of the 1920s, Vol. 3. So which model number should this radio be officially referred to as, the 5 or the 305? Last edited by Indiana Radios on Apr Tue 03, 2012 3:20 am, edited 1 time in total. 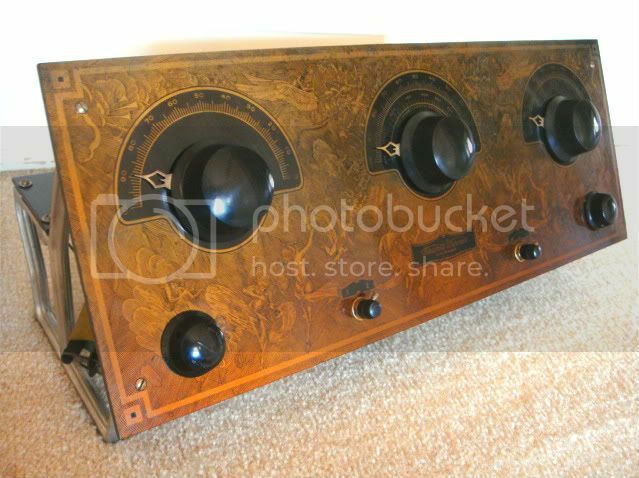 Of the 2 in the Gallery - you can see one has 2 front panel phone jacks (for 1st and 2nd amp stages) like mine - while the other has no front panel phone jacks. One of the 305's I had (and sold) had a slightly different marking arrangement on the middle dial. 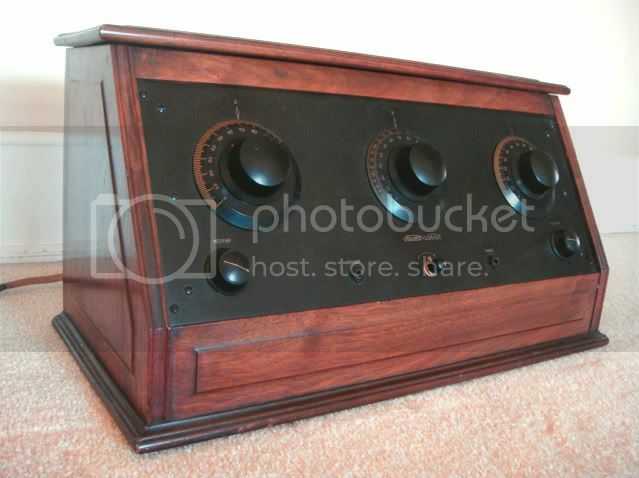 This was discussed in an earlier - mine (like the other pictured) has no cabinet... apparently it was part of a console. Someone was going to send me photos of vintage ads for the 315 - but I never received them. Interesting. Thanks everyone! I am pretty new - any estimates on value? I'd say that it is in "very good" condition (not mint or near mint) - all original, no restoration. I too have what I thought was a 305 but now I am convinced its a 5 chassis only no cabinet. Schematic of the unit. I would love to get it working.